There may not be snow... or mistletoe... but, the Handmade Market is still rockin’ around the Christmas tree THIS weekend, Saturday and Sunday at the usual place inside Budawang and Coorong Pavilions in Exhibition Park in Canberra, from 10am – 4pm both days... But wait, there's MORE good news. This year the event debuts a FRIDAY NIGHT opening!!! 'Whaaaaa?! ', I hear you say. Uh. Yeah. That’s right. The twelve days of Christmas are squeezed in to two... and a half! With a twilight shopping evening from 5-9pm for those who wish to beat the crowds and shop by starlight. It’s the most wonderful time of the year and we are spreading the crafty Christmas cheer. And it’s all handmade with love and joy... so no guilt if you buy a little something something for yourself too, promise *wink wink* Shop small and local this silly season, alrighty?! The next Handmade Market at Exhibition Park in Canberra is just around the corner on September 16 & 17 and the perfect opportunity to start your Christmas shopping... there's only 100ish days until the fat man 'ho ho ho's'! The event coincides quite conveniently with Floriade too so you are able to enjoy art, design PLUS celebrate Spring with a frolic amidst the one million blooms down the road. A BIG thank you to all those who visited the NOT A TOY stall at the recent Canberra Brick Expo, it was yet again a crazy and clever celebration of LEGO® love. We truly appreciate all those involved... the organisers, volunteers, exhibitors, vendors and brick building enthusiasts. 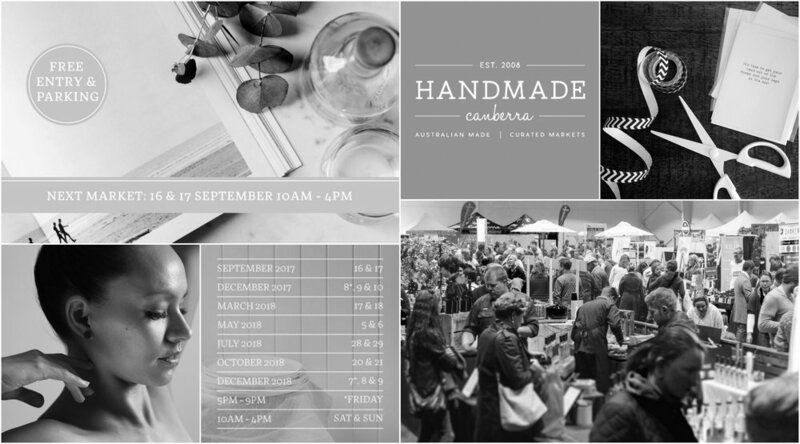 Fortunately, you won’t have time to miss us too much, there is not a long wait until the Spring Handmade Market event on September Saturday 16 and Sunday 17, from 10am – 4pm at the usual place, Exhibition Park in Canberra. Convenient one stop Christmas shopping [it's less than 150 days away... just sayin'] so be sure to save the date to get your festive shop on! This year it will be an another epic THREE DAY EVENT, so get booked in NOW, tickets are selling fast! Rhapsody Design rocks Brisvegas Bay! Posting daily can lead to flatlay fatigue... so I enlisted the talented young multi-disciplinary artist Emma Holland to style and shoot the Rhapsody range for some fresh new flavour. Her images proved this lover of colour is a great storyteller. What do you think? Australia’s premier LEGO® fan convention is being held January 13-15. The highly anticipated annual event features a HUGE collection of models from 300 Aussie exhibitors, including trains, castles, pirates, Star Wars™, space ships, planes, buildings, sculptures and much more. Play in the build zone, stock up on rare sets in the merchandise area and be inspired to build your own brick creations at Melbourne's Brickvention 2017! There may not be snow... or mistletoe... but, the Handmade Market is still rockin’ around the Christmas tree THIS weekend, Saturday and Sunday at the usual place, Exhibition Park in Canberra, from 10am – 4pm both days. That’s right. The twelve days of Christmas are squeezed in to two! It’s the most wonderful time of the year and we are spreading the crafty Christmas cheer. And it’s all handmade with love and joy. Show & Tell is an exciting NEW contemporary Canberra design market held at the beautifully appointed Belconnen Arts Centre, founded by illustrator and graphic designer (and living doll) Juliette Dudley. Open 4-9pm it will be brimming with one-of-a-kind finds for all! And with delicious local food and live music, shoppers can merrily bop and shop 'til they drop. With only 41 sleeps until Christmas, get your shop on at Old Bus Depot Markets this weekend... Discover something made with love and care for your nearest and dearest this silly season whilst supporting local small businesses. You will find something for everyone on that list, whether they have been naughty or nice! NOT A TOY will be back at the Bus Depot this Sunday in Kingston from 10-4 among other adornment artistes offering up all things shiny, sparkly, bright and beautiful of the bling persuasion. Accessorize or die! There's going to be a new oldie at Old Bus Depot Markets in Kingston this weekend... Rhapsody Design used to be a monthly stallholder five years back and now it's NOT A TOY's time to shine at their Bling Sunday event. 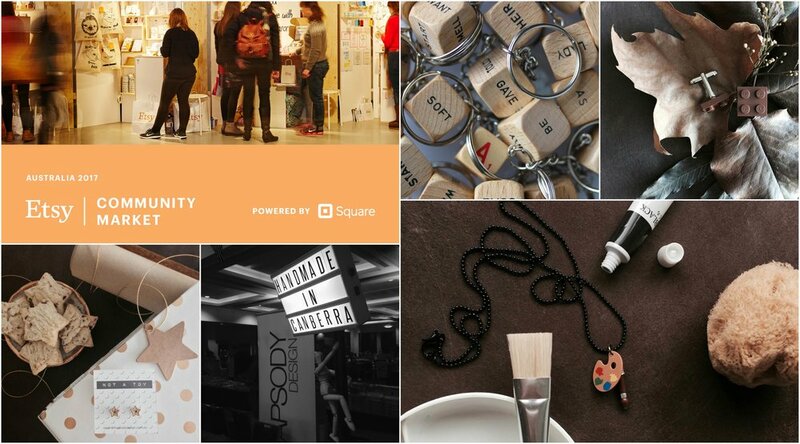 You can also catch my creative gal pals Wombat and Poss, JAC Studios and Sovata there. Shop local, shop handmade!